There’s a couple of new players in the almost-obligatory-in-labs Hot Plate & Magnetic Stirrer combo unit. The new United Scientific Analog and Digital Models. This hot plate/stirrer unit has a stainless steel plate with double PT sensors. Control is by two dials, one for heat and one for stirring. It can spin a stir bar from 50 to 1700 rpm and has a maximum temperature of 350 degrees C.
This hot plate/stirrer has a scratchproof chemically resistant coated ceramic plate. It has 1-dial control for temperature, time and speed. Each of these has its own LED readout. The unit can spin from 50 to 1500 rpm and can heat up to 350 degrees Celsius. The unit also features a pole with mounted temperature probe so accurate readings can be taken and the unit can shut off before a set temperature is exceeded. This feature frees up lab workers to do other things as they need not constantly monitor the temperature of the liquid. The pole system also allows the temperature to be read during vigorous stirring. Both stirrers are ready for sale and will ship straight to your home or office. This astronomy hints post is going to double cover much of what we covered in our Telescope buyer’s guide but we hope to go into a bit more detail for those considering their first telescope – and that is the raging battle between reflectors (telescopes that use mirrors) and refractors (telescopes that use lenses). Now odds are, if you are looking at these two designs and don’t know a thing about telescopes beyond what TV & movies may show your first instinct will probably be to think of the refractor (the one on the left) as being what you think of as a telescope: a tube pointing at what you want to look at while on the opposite end of the tube is the place you look into. Its very simple, and very intuitive. It even invokes the old brass collapsing telescopes every pirate move seems to be require to show by law. Conversely, the reflector (on the right) can be a bit odd-looking. First of all, the front end is open and empty! You have to look all down the tube to see any sort of optics (i.e the primary mirror). Then you notice that there is no place to look through at the end of the tube. The eyepiece just kind of sticks out of the side, and the finderscope (a little telescope used to help find things in the night sky) isn’t in the same place as the refractor. What is going on here? Well, what is going on is that while the result is the same (light gathering and magnification), and some of the fundamental optics are doing the same thing, the fact is they are both doing it very differently. First up the refractor employs a large lens, located at the front of the tube, to refract (hence the name) or bend the light. This bent light is designed to come to form an image very close to where the eyepiece is located (you can get an idea of how this works by making an image of an object on a wall with a magnifying lens – just remember the telescope is designed to have the image form much further away!). The eyepiece then focuses on this image. In a way this is like having a magnifying glass focus on a magnified image – sort of. The fact is: There is no simple answer for this. Let’s just go over some basics. Seems like Refractors are the winner, yes? No, not really. You see that first advantage of reflectors is a killer. It is simply much easier to make a larger mirror than a large lens for a telescope. With a mirror, you need to polish only one side and coat it. With a reflector, you need to polish both sides at least two lenses (most refracting telescopes use air-spaced achromats (multiple lenses) and will probably need coat them with an anti-reflection coating as well. That’s four lens sides, each one with a different curve. The major selling point of refractors at small sizes is their traditional designs & lack of need for collimation. A small refractor will cost about as much as a small reflector and will give a beginning astronomer fewer things to worry about. The other advantage, the sharper images, tends to only come with higher-quality refractors or even what are known as apochromatic (3 or more lenses, or two very well designed ones) objective lenses. These can get very expensive, but at small sizes (i.e. easy to transport) the refractors can easily win out with image quality. Many astronomers, not wanting to haul around heavy reflectors, may opt for these advanced refractors. More expensive than reflectors at mid and large sizes. Chromatic Abberation can be annoying when viewing bright objects (the Moon, Jupiter, Venus, etc) as it results in what is known as a “violet fringe” around the object. This can be filtered out, and it doesn’t show up much on dim objects (light galaxies, nebulea, etc.) . But it can be frustrating to some novice viewers. More critical to refractors is the expense of making medium and large-sized models. We already covered why in the advantages section. Reflectors on the other hand have the problem with collimation. Most large reflectors are probably going to need collimation if they’ve been moved around a lot. They will still work if they aren’t precisely collimated, but the images will appear streaky. Collimation can be a bit tricky to master and so can frustrate novice astronomers. The secondary issue is bit of a misnomer. What it essentially says is that any reflector telescope is not going to gather as much light as its full surface area as a portion of it will always be in the shadow of the secondary mirror. This is mostly just a nuisance as if one needs more light gathering power one simply makes a larger primary mirror., but then weight does become an issue. So to answer the question of ‘which is better’, there really isn’t much of a straight answer – at small sizes (for beginners) there is little reason to not get a refractor. But once the sizes get larger the reflector very quickly becomes much more economical. These rules are in no way ‘hard and fast’ as there are many exceptions to them. But as an overall guide they can give you an idea of what design to look at. Yesterday, Sally Ride, the first female US astronaut, and third woman in space overall, died after a long fight against pancreatic cancer. Sally Ride was not the first woman in space, and she was not even the second woman in space. Valentina Tereshka was trained in a crash course (she was a parachuter but not a pilot) and her flight was considered more of a stunt than anything else – mind you this was the era of public space stunts by the superpowers – but the lack of training and the superficial nature of the her flight was indicative of the ‘propaganda over progress’ nature of USSR space flights that led to them to fall behind the US program. Svetlana Savitskaya was a more fully trained astronaut, but her training had started in 1980, wheras Sally Ride had been part of NASA’s astronaut program since 1978. 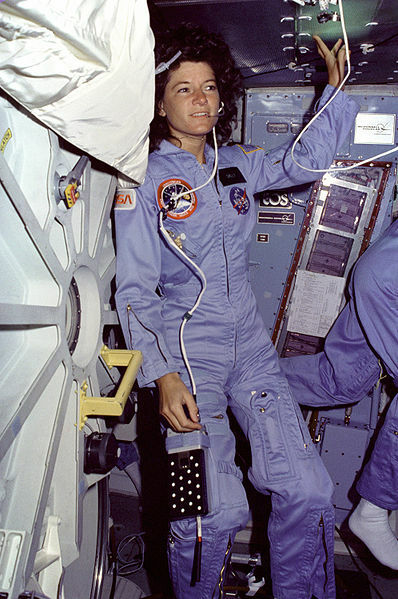 Sally Ride faced a higher level of scrutiny from the media due to her gender. While NASA was well past the age of ‘male, clean-cut types only’, there was still a degree of chauvinism displayed. Sally Ride was asked once if she cried when things went wrong, some wondered if the space flight would damage her reproductive organs, some less-than-stellar experts claimed her hair (done in an 80’s style perm) would destroy everything inside the shuttle, and the question of how she would go to the bathroom in the shuttle was asked- a lot. Although to be fair ‘how do astronauts go to the bathroom in space’ is the most commonly asked question of the astronaut program, male or female. Ride answered most questions skillfully,but pointed out the double-standard by asking “how come Rick (Hauck) doesn’t get these questions?”, and just outright not answering a couple of others. Ride flew twice on the Space Shuttle, on flights STS-7 and STS-41-G. She also acted as the ground-based Capsule Commander for the 2nd and 3rd Shuttle flights. When disaster struck the Challenger in 1986 she was on the investigation team. Even though she left NASA in 1987, she was asked back to help the accident investigation of the 2003 Columbia space shuttle disaster. Once Ride left NASA, she continued to keep most of her life private while working for private companies. She acted as an inspiration to young girls in science but never pressed the issue very far – accepting her duty as a role model. But she considered herself a scientists & astronaut, not a celebrity. She rarely exploited her fame – (a commercial for Office Depot was about it). As of this writing, the Mars Science Laboratory is scheduled to make landfall in less than 19 days (clock countdown here). 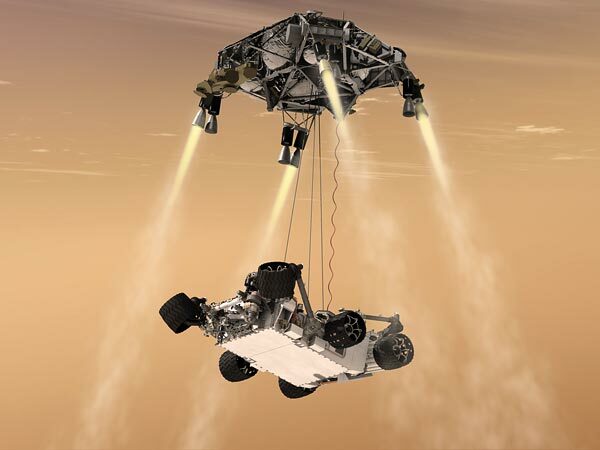 The Mars Science Laboratory, nicknamed Curiosity, is one of the biggest rovers to go to Mars, measuring at 10 feet long (often compared to a Mini-Cooper in size). Only the Viking Lander was comparable in size and that didn’t move or do anywhere near as much as Curiosity will. Look like fun? The lander will need to go from 13,000 mph to zero in under 7 minutes. Sound like real fun? Well if youhave an XBOX360 and XBOX account you can actually play a Curiosity landing game designed by NASA. It is free, just look up “Mars Rover Landing” on XBOX live. It even works with the Kinect. Curiosity is full of equipment,that mast has a camera that covers a large portion of the spectrum, so it can see in Infrared and Ultraviolet. The camera has several filters and modes to get the best imaging. 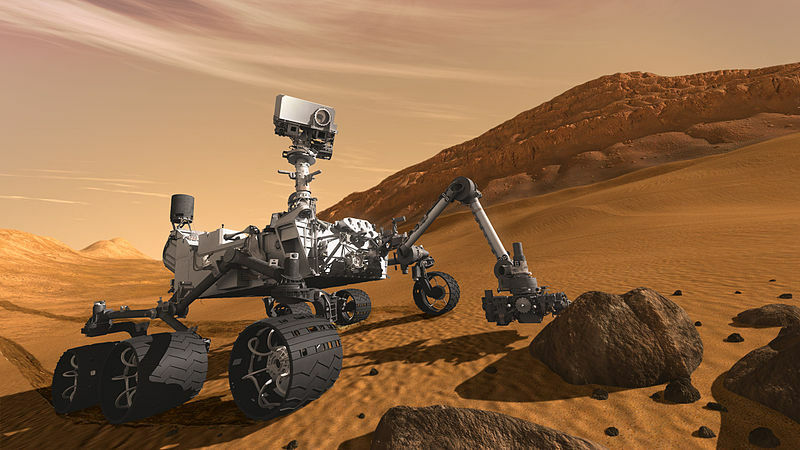 Curiosity also carries a Spectrometer, Robot Arms (with cameras), Sample analysis equipment, and much more. Curiosity is scheduled to land on August 5th or 6th depending on your position on the planet. There’s some new books in town, and they are all great fun for kids. They involve hands-on science projects on a variety of topics. This books has instructions on how to build 35 different kinds of homemade rockets, gliders, helicopters and more. Soda-Pop rockets, paper boomerangs, rubber-band powered gliders are all part of the of this 197 page book of flying fun! This book does one thing: Have kids make cars powered by rubber bands – but it does it sooo well. Kids will learn about axles, gears, pulleys, friction, tension, speed, and much more as they build a dozen rubber band powered cars out of simple materials like cardboard, pencils, old CD’s and of course rubber bands. Instead of just a couple of pages on boomerangs, this book goes into heavy detail on how to build working paper boomerangs! You start by building trainers and work up to distance models, etc. Chapters are devoted to boomerang theory, tweaking techniques, decoration, and throwing styles!